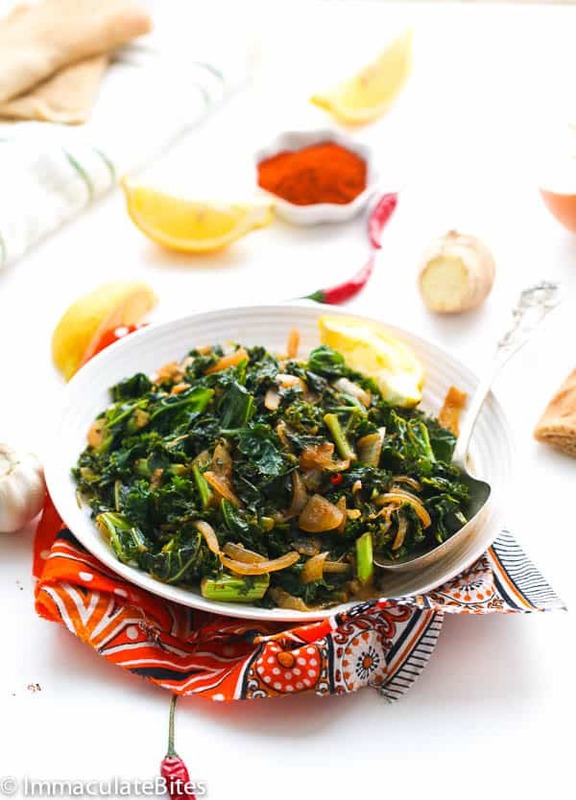 Ethiopian Collard Greens aka Ye’abasha Gomen- Braised collard greens and kale seasoned with aromatics; Quick, easy and tasty. Couple of years back, I loathe any green that wasn’t remotely close to spinach. Kale, collard greens were on the list (I don’t know why). But after some time, I gradually, consciously started playing around with more greens. Yes, couldn’t just turn my backs on these greens especially when their nutritional benefits are staggering. And of course, with age comes wisdom and we all start thinking about our health. 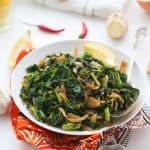 If you are looking for an easy, flavorful and downright addictive way of trying out collard greens or kale then you are in luck. I have tried both greens using this method and they both work great. If you are more focus on the nutritional content then be aware that collard greens are right up there with kale. They both provide an excellent source of vitamins A, C, K calcium and are equally tasty! Some side-by-side comparisons even give collard greens a slight edge-something to think about when you are in the supermarket. 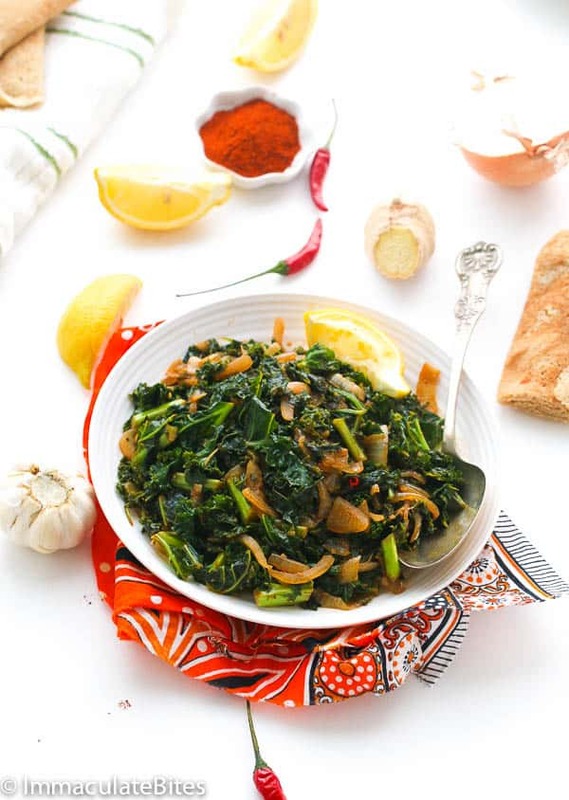 This Ethiopian Braised Greens is fairly easy dish to make both in terms of preparation and time it takes to make it. Especially when you have all your pantry ingredients ready to go. So what sets these greens apart from the rest are the spice mix and Ethiopian Spiced butter. It makes it more enticing and flavorful. Cooking greens is a matter of personal preference, some like to cook it to death-not me, 7-10 minutes does it for me. Injera/Angero and or this Doro Wat Ethiopian chicken Stew Enjoy!!! 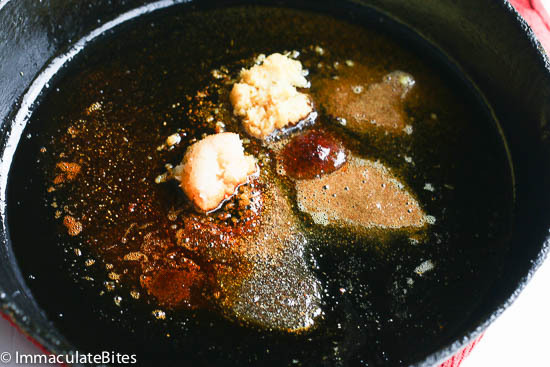 In a large skillet, add oil, spiced butter, garlic, ginger, chili pepper, cumin, cardamom, paprika, sauté for about 30 seconds or more, be careful not to let the ingredients burn. Throw in chopped collards, cayenne pepper, lemon juice, Continue cooking for another 7-10 minutes until flavors have blend and greens are cooked, according to preference. Adjust seasonings –Salt and pepper, turn off the heat. I loved these Ethiopian collard greens! Thank you. Hi! I’m confused about the cumin/coriander – which one? Or both? They are very different! Cumin or coriander would work just fine here. Yes! This recipe is the truth. 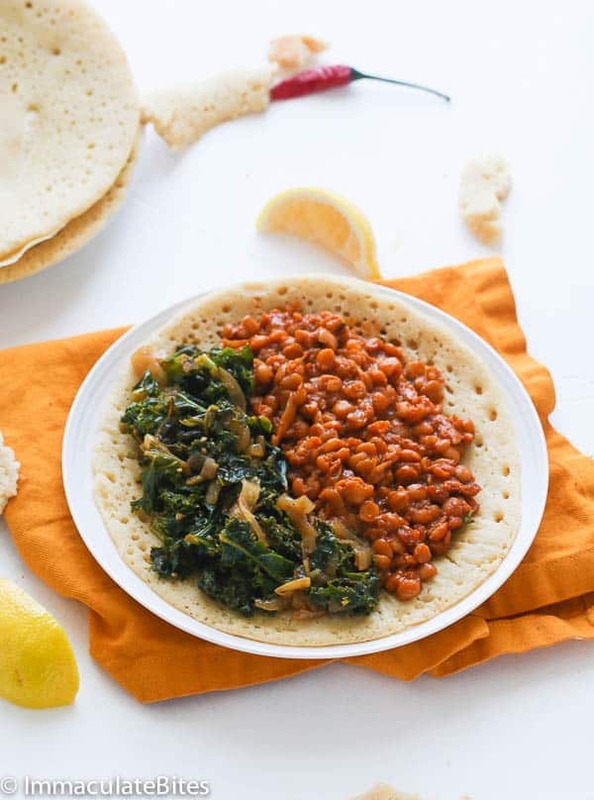 I have used this recipe twice already and it tasted just like restaurant quality both timesArban Philadelphia and the nearest Ethiopian restaurant is about 1 hr away. Now I can have this dish whenever I want. Yay! 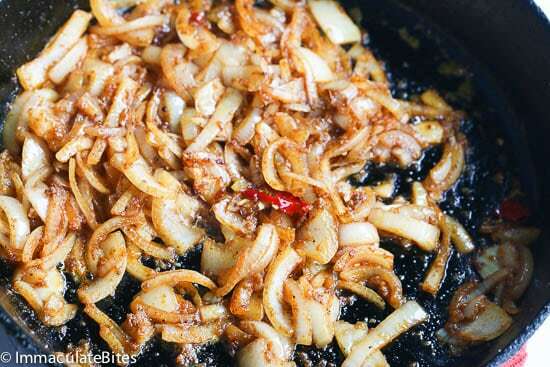 Tip: Add the ginger at the end using garlic press after all of the other ingredients have cooked. Yaaay! Glad you can now easily enjoy this whenever you want. And thank you for sharing that tip, Jennifer. Just made this and it is amazing!!! I almost ate the whole bowl myself in one sitting!! Yummy!!! Thank you for sharing the receipe! My pleasure! So happy to hear you enjoyed it Jessica. It’s really flavorful. Hi. What do you think about substituting berbere for the cayenne? Or paprika? I’d think the cayane si a closer match. Thank you for the recipe and any thoughts. DO you use the juice of the whole lemon? I don’t . Adjust to taste buds. I’m so happy to hear that Elise! Thanks for taking time out to let me know. 🙂 It’s definitely a favorite around here. I add some turmeric to mine, also. It’s healthy and gives the dish a beautiful glow. Great addition! Thanks for sharing. Hi, Lee. Spiced butter or Niter Kibbeh can be stored, covered and chilled, for up to 3 weeks OR you can also freeze it for up to 2 months. This was fantastic! I served it with injera, Yemisir Wat, Tikil Gomen and Yekik Alicha. The collard greens were popular among the dishes. Very lovely mix of spices and great texture. Thank you for the recipe! OMG this is delicious! I really don’t like the bitterness of kale so I have been looking for a way to make it palatable. Bingo… This is it! I not only mix collards but cabbage as well. Thank you so, so much! Wow! My new go-to recipe for collards. This is divine. The lentil recipe that goes with this is great, too. Thank you. Great ! Thanks for the feedback! Hello! 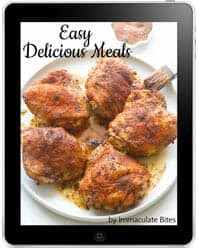 I am new to your website and I am SO excited to try out a few recipes! I’m really interested in the collard green recipe but I’m wondering if I am supposed to use both 1 teaspoon of coriander AND a 1 teaspoon of cumin or if it is just one or the other? Thanks so much! Hi Heather! Glad to have you here, It’s either one or the other . Thanks ! 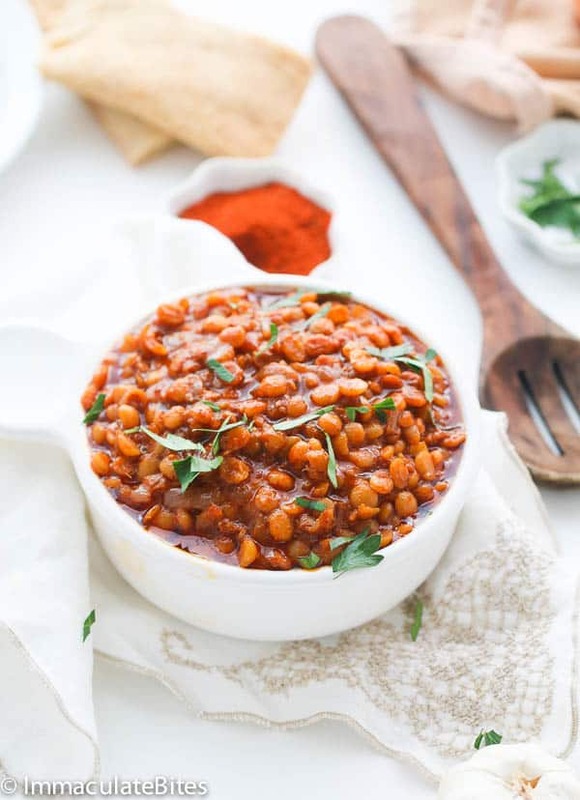 Thank you for this recipe – the spices are so delicious and it smells amazing! I cooked with ghee (clarified butter since I didn’t have niter). I added a little berbere to the ghee since the spices are so similar. Also, I wanted to try this in an Instant Pot so after sauteing the spices in ghee and cooking the onions in the IP using “saute”, I added chopped collard greens – stems and all – to the IP along with some salt and 1/4 cup water. Cooked at high pressure 30 minutes and then quick release. Stirred in lemon juice at the end and tasted for more salt. Excellent! 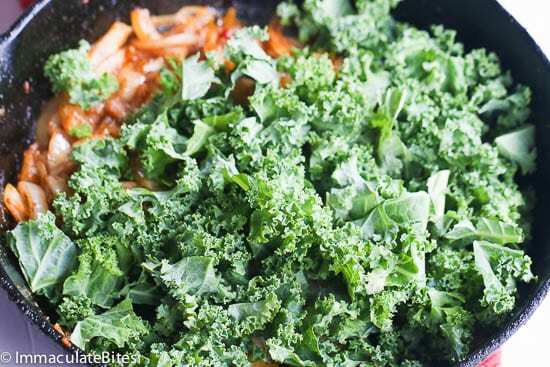 If using kale, cook time would be much less (more like 5-7 minutes on high pressure). Thanks again. This will be in regular rotation! Awesome! Thanks for the detailed feedback . So glad to hear it worked out well for you. I do it all the time , with my food pairing. As long as it tastes good who cares? Thanks for taking the time to share your thoughts with us. I made this last night and it was delicious (and smelled amazing the whole time)! But I do have a question. I’ve had a collard greens dish at a couple different Ethiopian restaurants that didn’t seem to have the “warming” spices — at least not turmeric since the onions hadn’t turned yellow! But rather tart (maybe vinegar, or just more lemon?) and a little bitter, whereas your recipe didn’t turn out bitter at all. This other dish was *something* gomen, but I don’t remember what. Any idea what it might be and what the differences are? More lemon and/or vinegar would make it definitely tart. And I think the other gomen is siga be gomen. Which is most often made with collard greens and beef. Thanks for the lovely recipe. It was a great way to use up all of the greens in my refrigerator. I used two kinds of kale and some chard. 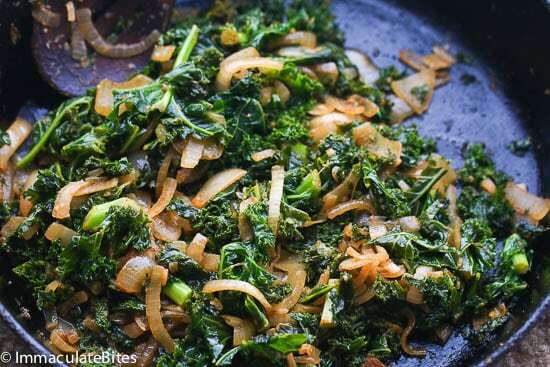 This is one of the tastiest recipes for greens that I have ever had. My kids and husband gobbled it up. I served it with a “cheater” version of Ethiopian chicken. I tossed some chicken legs with a generous amount of Penzey’s Berbere seasoning, wrapped it up tightly in foil and slow roasted it at 325 for 2 1/2 hours. I can’t wait to try some of your other recipes. AWESOME!!! Super excited to hear the kids enjoyed it too! Love your cheater version of Ethiopian chicken. I just made Ye’abesha Gomen. It is snowing here today and I wanted some lovely spicy Ethiopian food. Delicious. Thank you for this website. I will become one of your avid followers. Awesome! Thanks for giving it a go. Glad you are here. I just wanted to say thank you for your recipes. I have tried a few and just tried a few more. This one here; the Ethiopian Greens(kale),with Red Red on top of brown rice, and bhajias. All was so delicious together. My family was very pleased!!! OK.. Gotta ask cause I can not find anything that makes sense. After reading you post yesterday about the lentil dish, I wondered if you would post a recipe for the greens. Apparently, you are one step ahead of me!! I look forward to trying both dishes!!!! SO happy to hear this Cassandra. And can’t wait to hear the feed back. Oh, I have two more Ethiopian recipes I am going to post by the end of the week. They all pair beautifully together.